The moment you set foot into our hotel, you enter a world of British tradition. 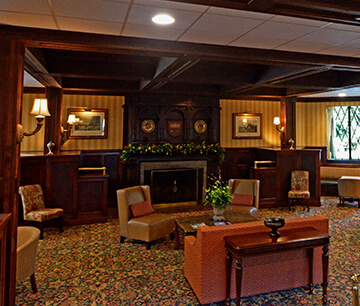 Enjoy all the pleasures of a fine Charlottesville hotel blended with the charm of a country inn. 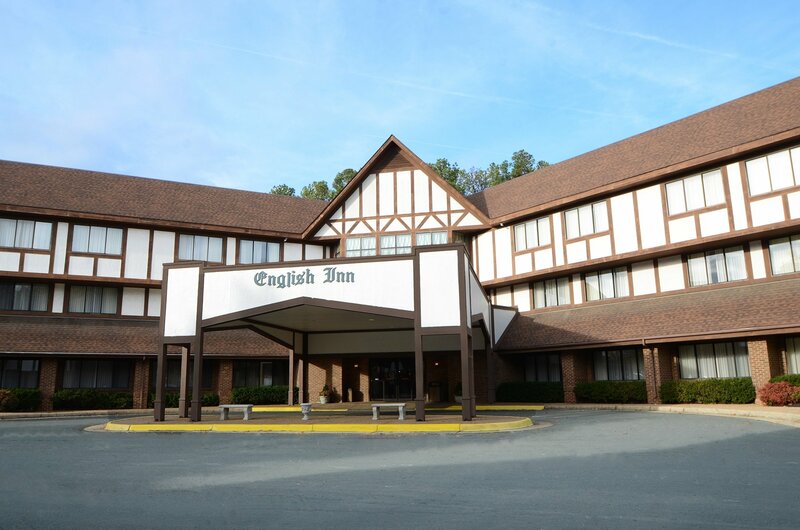 You’ll find the heart of the English Inn is our dedication to uncompromising quality and exemplary personal service. 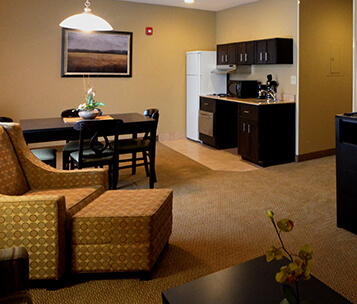 Free high speed internet access in all our hotel rooms. Wireless access located in the hotel lobby. On the ground floor of the hotel, our indoor pool is available for use by all registered hotel guests. The pool hours are from 7 AM to 10 PM daily. All children under 16 years old must be accompanied by an adult. There is no lifeguard on duty. Our fitness center is completely upgraded, located near the pool on the ground floor, and is open from 7 AM to 10 PM daily. The age of admittance to the fitness room is 18 and older. Our hotel offers a courtesy shuttle service 7 AM to 11 PM daily to and from the Charlottesville-Albemarle Airport, train station, and bus station. Valet and dry cleaning services are available at our hotel’s front desk. Our complimentary hot breakfast buffet is served every morning in the Windsor Room (on the ground floor) from 6:30 AM to 9:30 AM on weekdays and 7 AM to 10 AM on weekends. The buffet includes: scrambled eggs, bacon or sausage links, pancakes or french toast, grits, hot cinnamon apples, hash browns, biscuits, sausage gravy or chipped beef gravy, english muffins, bagels, cereals, fruit, milk, juice, and coffee. Enjoy Afternoon tea with a variety of English teas and freshly baked gourmet cookies every afternoon. Our hotel offers a limited number of complimentary cribs. If you need a crib please request one while making your reservation. Safe deposit boxes are available at the front desk. We recommend that hotel guests store any valuables in a safe deposit box. We offer a limited number of complimentary USA Today newspapers at the front desk (available on weekdays only, as the USA Today does not publish on weekends). Each hotel room has a coffeemaker, iron, ironing board and hair dryer. 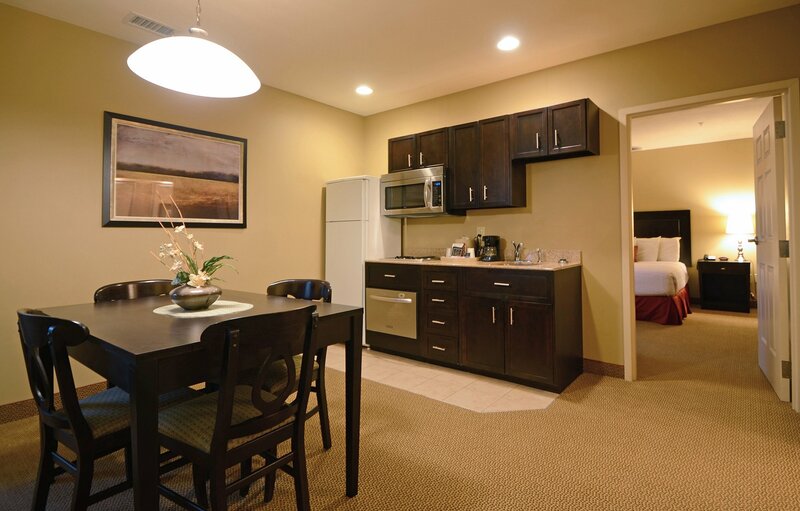 All rooms have a refrigerator and microwave oven. "As stated already, I loved this inn. Tudor style outside and in. Homemade cookies with tea and coffee in the afternoon. Always coffee and tea available. Breakfast offered wide variety of choices. Room comfy and quiet. I had not one complaint and I travel to many hotels." Receive emails about deals, events, and news!